Raphaëlle Boitel and her ensemble will lead an all-levels workshop open to the public. 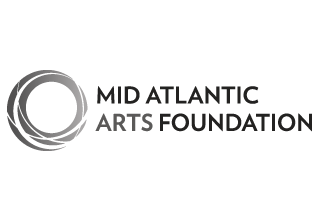 Participants will develop their physicality, presence, and connection between each other through improvisation and play. Building awareness and trust together, participants will explore instinctive sensory interaction to extend their theatrical potential. For Ages 8 and up. No experience or background in movement or theater necessary. Join MSU Assistant Professor of Theatre Jessica Brater for a discussion about mechanization, ecology, and female bodies in space on Raphaëlle Boitel’s stage. Share your First Impressions of When Angels Fall with Raphaëlle Boitel, Arts + Cultural Programming’s Executive Director, Jedediah Wheeler, and Editor for Circus Talk, Kim Campbell. Raphaëlle Boitel was born in 1984 and began the theater at the age of 6 years. Noticedby Annie Fratellini, she joined in 1992 the National School of Circus Arts Fratellini. From 1998 to 2010, she worked with James Thierrée in La Symphonie du Hanneton –The Junebug Symphony (French tour and international tour from 1998 to 2006), then in La Veillée des Abysses (2003 to 2010). In parallel with these 13 years touring, she is a performer in theater, cinema, television movies (directed by Marc Lainé, Lisa Guedy,Graham Eatough in Scotland, Luc Meyer, Serreau Hill, Jean-Paul Scarpita), she participates in events (Jean-François Zygel), plays in video clips, and performed over long periods in different cabarets in New York, Miami, London. In 2012, Boitel worked under the direction of Aurélien Bory- Cie 111. She also founded her own company and worked on her first personal creations. In 2013, she created her first show “Consolations or prohibition to go overboard”, a short form with three artists from the Academy Fratellini, and choreographed Verdi’s “Macbeth” at La Scala in Milan, directed by Gorgio Barberio Corsetti. In 2014, she created “The Forgotten” a long form of circus theater. In 2015, she created “5es Hurlants- 5 Uproar”, a long form homage to circus, written for five young performers. Shortly after, she choreographed the Offenbach opera “La belle Hélène” at Théâtre du Chatelet, directed by Gorgio Barberio Corsetti and Pierrick Sorin. In 2017, she directed and performed a short-form solo, “The Black Beast,” a metaphor for her past as a contortionist. That year, she also choreographed the baroque opera “Alcione” at L’Opéra comique, directed by Louise Moaty. Tristan Baudoin grew up in an artistic environment. Passionate about visual arts, at the age of 17 he began to work in show techniques. His training focused mainly on light and stage machinery techniques. He accumulated experiences in live shows, television, events. In 1998, he focused his activities on theater, music and dance, favoring creation work, with many artists from the Toulouse region. In 2004, he met Aurélien Bory and joined the Cie 111, to which he fully committed and became the reference stage manager for 10 years. He developed his knowledge in scenography, machinery, human sights or robotics, driving the industrial robot of “No Object”. In 2011, he met Raphaëlle Boitel and decided to accompany her in her creations, andnow collaborates with her in the design, scenography, lighting and technical management on all her artistic projects. Clara Henry , dancer and actress, studied and the Conservatoire Régional de Nancy where she won in 2009 the gold medal in classical and contemporary dance. In 2014, she joined the Ecole Internationale Jacques Lecoq and in 2015 studied the Art de la performance et sculpture course at the Académie royale des Beaux-Arts de Bruxelles. She continued her formation with Ana Rodriguez (Maguy Marin Cie). Between 2004 and 2016, she performed : in shows from Julien Ficely, Christian Bourigault, Brice Kapel, Richard Siegel… with the companies Bud Blumenthal, Micantis, Silex, Good Dog, T&T and the flying circus (Bruxelles), Encounter, Les Butineurs, 104 (Australie), Cie Maria-Clara Villa Lobos. In 2017, she founded her own company GingerCandy and created the show Appel d’air . The same year, she joined the Cie L’Oubliée and the show 5 Uproar as a performer. Alba Faivre is an aerial master, specialized in Chinese mast, smooth rope and trapeze. In 2009, she joined the National Circus School of Montreal where she graduated in 2012, touched by her encounter with the choreographer Johanne Madore. Since then, her work has combined circus and dance, focusing on a research around emotion. She is going from one experience to the next, standing out by her heterogeneous background, inFrance and abroad : traditional and contemporary circus, cabaret, opera, dance, street theater… This wide range of forms is unied by a constant personal search : that of the danced circus motion. In 2016, she meets Raphaëlle Boitel on the Alcione Opera, and is now working with her on her next creation. Emily Zuckerman was born in New York. She studied Visual Arts and Cognitive Science at UC Berkeley, California. Interdisciplinary in her artistic approach, she is passionate about the creative process and is interested in human beings, as source of inspiration and subject of research. In 2012, she moved to Paris to follow the circus training of the Fratellini Academy, from which she graduated with the specialty smooth rope. She then integrated the show “(Dis) -cordes” of the Company “Sens Dessus Dessous”(France).She moved to Brussels and continued her dance training. In 2016, she was hired by Raphaëlle Boitel on the Opéra “Alcione”, at the Opéra Comique. Following a common thread in their artistic interests, she continues today her collaboration with her for “When Angels Fall”. Loïc Leviel is a wire artist, acrobat and has a great interest for dance and theater. He entered the Fratellini Academy in 2013, right away participate to a show of the company“Teatro del Silencio” in intermittence with the Fratellini Academy. In 2015, he worked on creations with the directors Pierre Meunier and Stuart Seide. He met Raphaëlle Boitel in2014 and joined her company in 2015 in her show “5es Hurlants” (that is actually in tour). He got graduated in 2016, worked on a creation of Philippe Fenwick, and work now full time with Raphaëlle Boitel. Nicolas Lourdelle graduated in December 2000 from the 12th National Circus ArtsCenter promotion, interpreting “The Iota tribe” directed by Francesca Latuada, with the specialties of Chinese pole and wire. The same year, he participated in the creation of the company “Baro Evel Cirk” and played in three of their creations. In 2006 he met David Bobée, Co. Rictus and worked on three of his creations. At the same time and until today, he performed roles in various creations of Aurélien Bory, Company 111, where he met Raphaëlle Boitel and Tristan Baudoin. From 2009, parallel to his career as an artist, he trained and perfected the techniques of rigging and cordist. Since then, he has been working at the Amiens National Circus ArtsCenter, becoming a referent at the Amiens Zenith, working with rigging companies and accompanying artists, directors and choreographers on questions of safety and security.In 2017, he joined Raphaëlle Boitel on the Alcione Opera and now works with her in a role mixing his artistic and technical abilities. Arthur Bison started working at 19 as a studio assistant for Dan Levy, composer for film and dance and founding member of the band The Do. Between 2006 and 2013, he notably participated on the recordings of the movie Darling, and on the award-winning albums A mouthful and Both Ways Open Jaws. He also accompanied the band on tour as a backliner and tour manager. Alongside this work, he started collaborating with contemporary dance choreographer Johanna Levy in 2008, composing and recording the music her pieces Hotel Mind (2008), After (2014) and Twist (2016). He met Raphaëlle Boitel in 2011 and has since written and recorded the music for her showsThe Forgotten (2014), 5e Hurlants (2015) and is now working on her new project When Angels Fall (Oct. 2018). Lilou Hérin is accustomed with theaters and touring. Since 1998, she has mainly worked as a costume designer and accessories manager. In 2006, she won with Victoria Chaplin the “Molière” for the costumes of “The Junebug Symphony”. She also collaborates punctually with Victoria Chaplin on her creations. Until 2012, she participated in the creation of all the shows of James Thierrée, and then left for a better life and to work with Raphaëlle Boitel on her creations. Since “The Forgotten”, in parallel to her work on costumes, she has joined the stage as a performer. Congratulations to the Kronos Quartet! 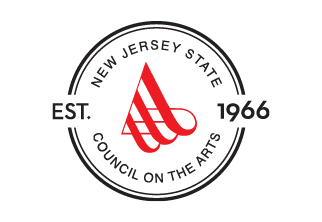 Programs in Peak Performances’ 2018-19 season are made possible in part by funds from the National Endowment for the Arts and the New Jersey State Council on the Arts. 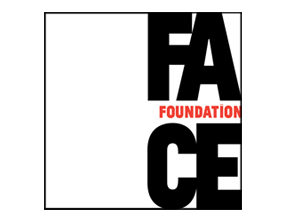 This production supported by FACE Contemporary Theater, a program developed by FACE Foundation and the Cultural Services of the French Embassy in the United States with the support from the Florence Gould Foundation, Institut français-Paris, the French Ministry of Culture and private donors. Additional support for women artists has been provided by Fondation CHANEL.